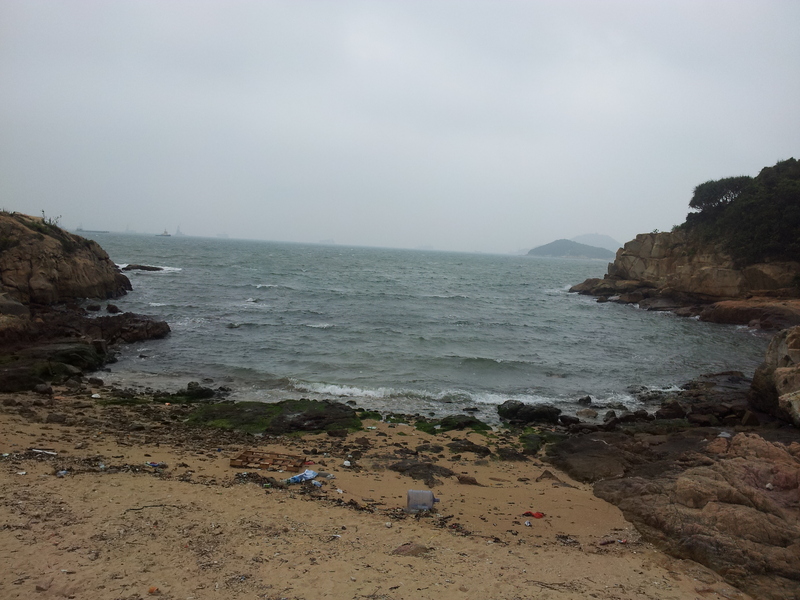 Today Mom and I went island hopping around Hong Kong. 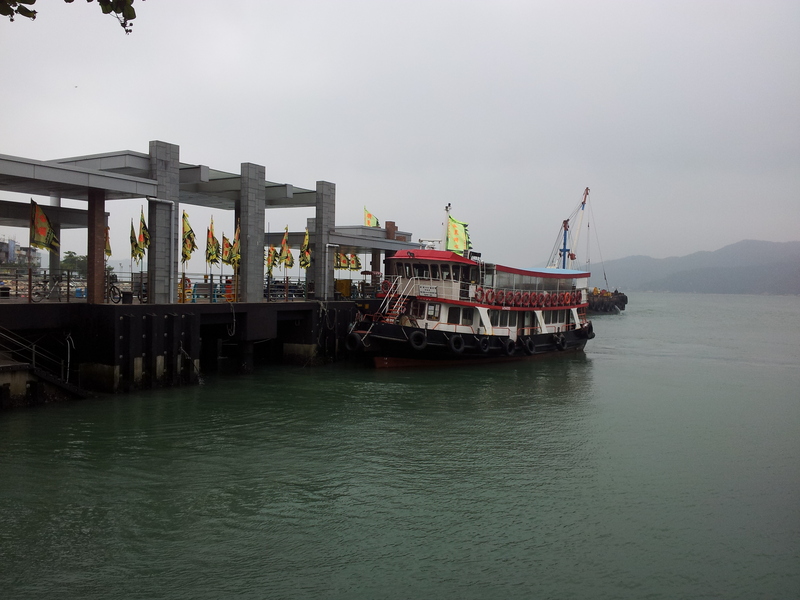 We started off on Lantau island where we live and hopped on a little ferry over to Peng Chau. 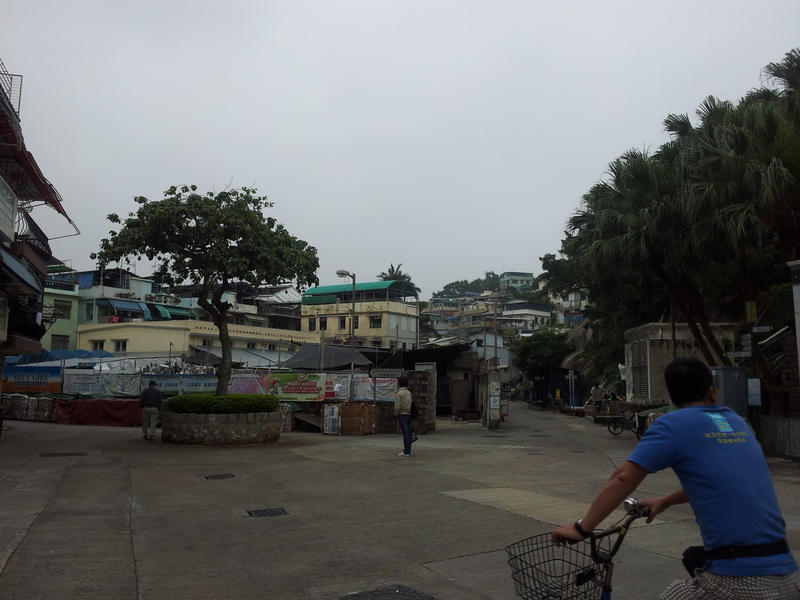 After our walk around Peng Chau we hopped on another ferry to Cheung Chau. 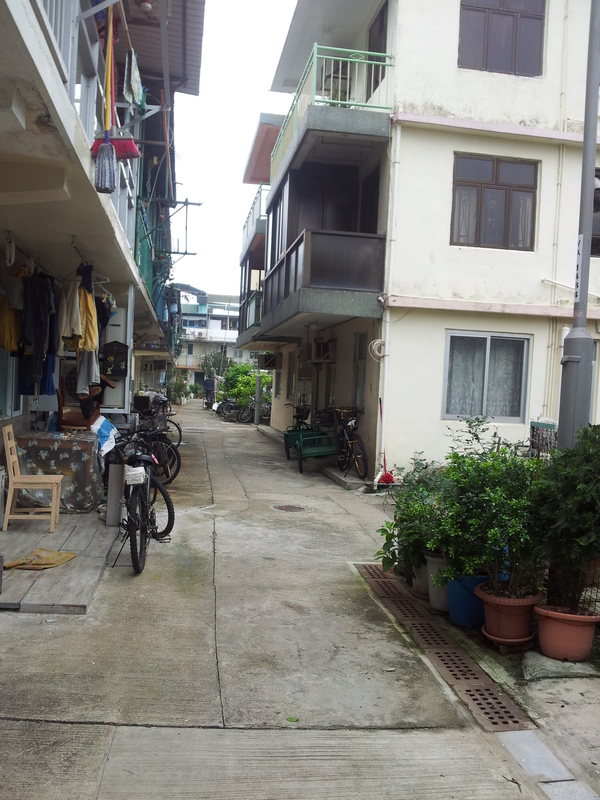 I was thinking that Cheung Chau would be similar to Peng Chau but it was extremely different. 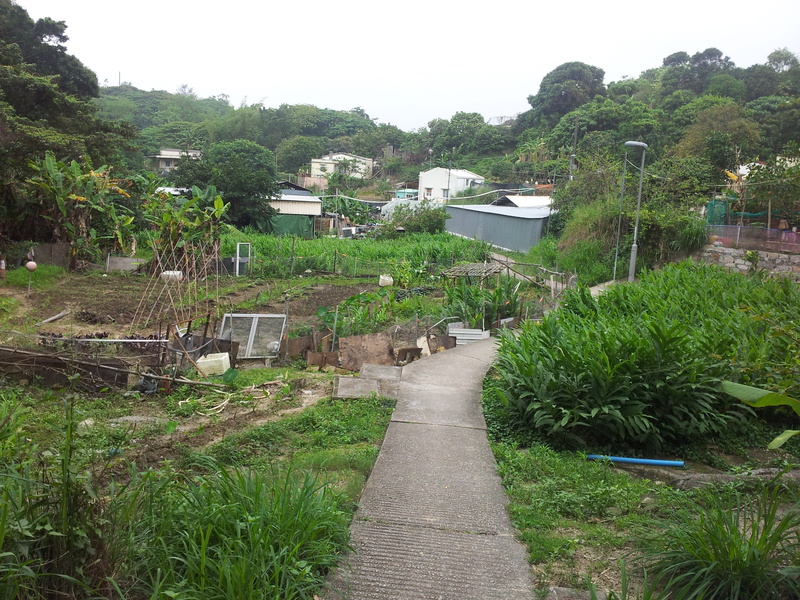 Even though there are no cars on this island either it was positively bustling. There were people everywhere along the waterfront, both walking and biking. 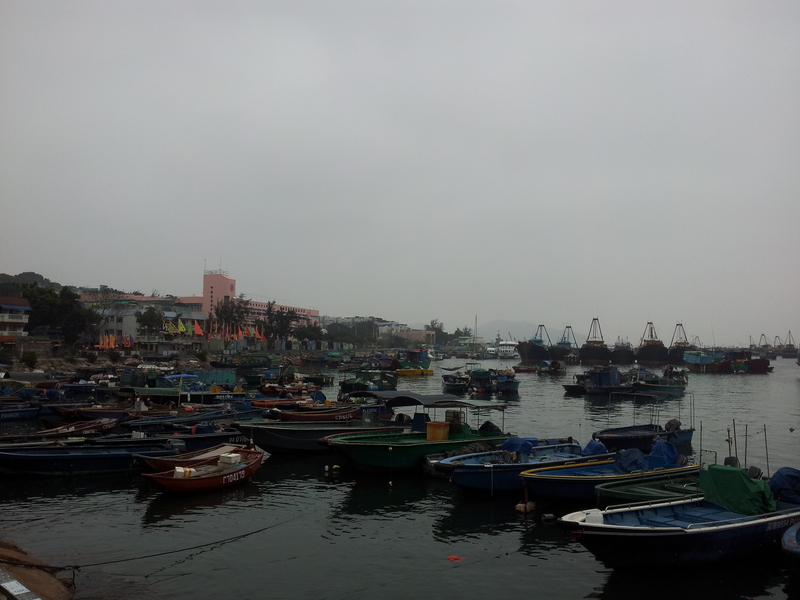 Unlike Peng Chau that had few shops or restaurants, the whole waterfront of Cheung Chau was filled with them. Waffle stand. The fish ones are filled with red bean paste. I got the egg waffle, the one that loks like lots of little balls stuck together. 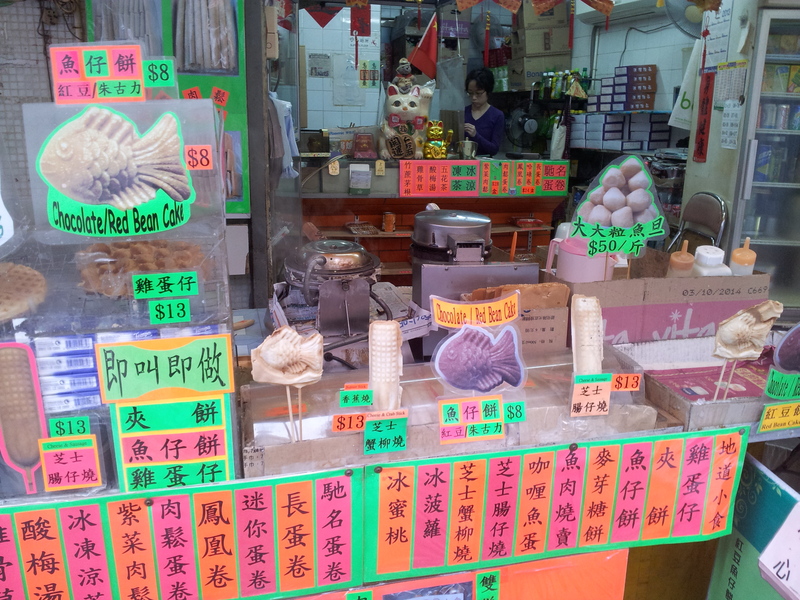 Dried seafood is a really popular sight in fishing villages around HK. 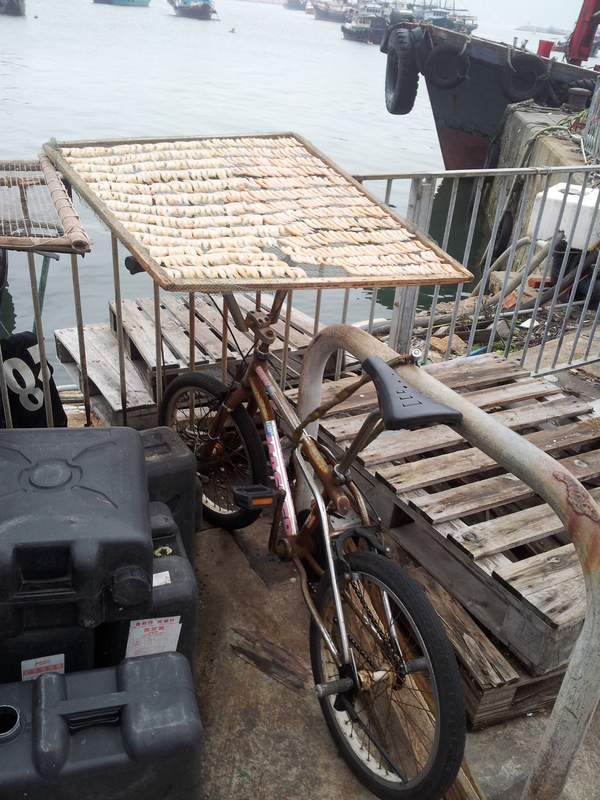 This is a rack of shrimp, drying on a bicycle. 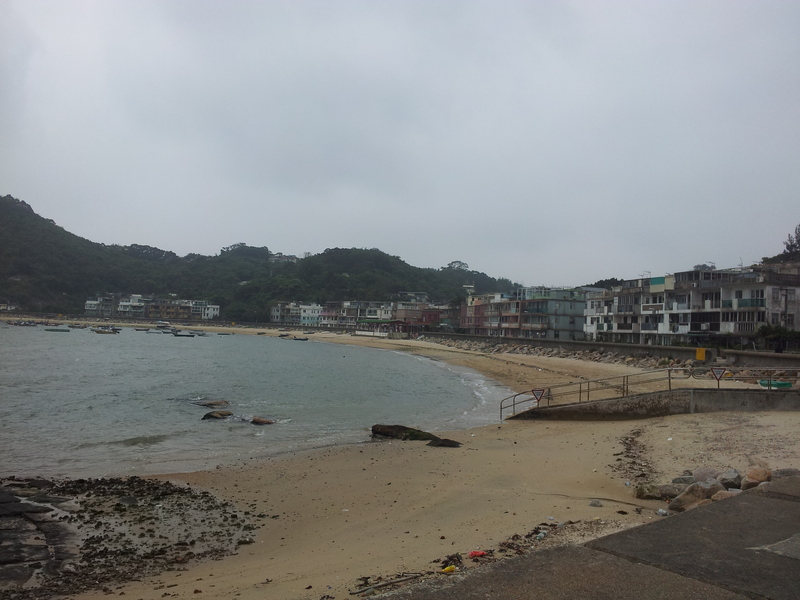 We had a funny experience in Cheung Chau. 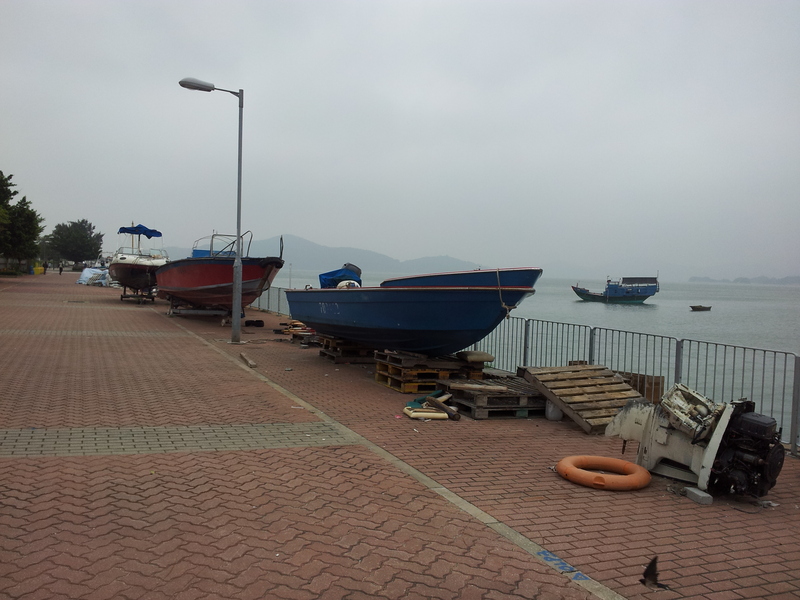 While walking by a fish market we stopped to look around. We heard sirens and then looked to the road and saw the fire brigade go by, in minivans and ATVs! 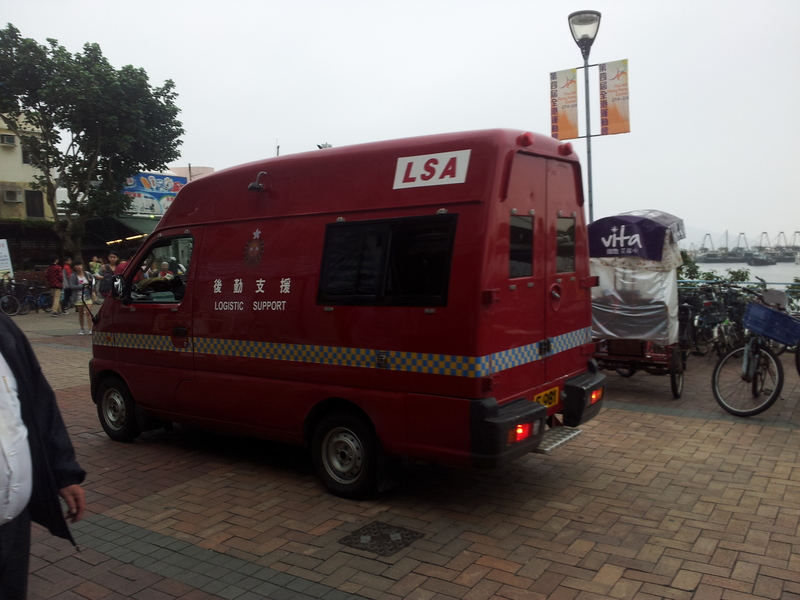 The roads here are too small for full sized fire trucks so these pint sized ones are used instead. 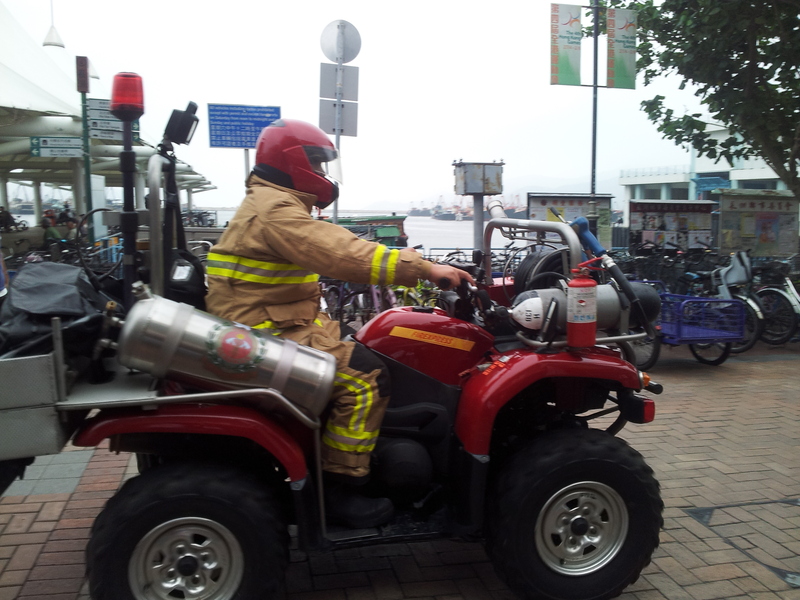 It was hilarious to see a fully kitted out fireman zipping down the road on an ATV. A Chinese woman beside us thought it was interesting too, so she started taking a video on her camera, and then when the trucks had gone by, Mom and I became the stars of her video. At first we didn’t realize she was taping us because we were remarking about the fire trucks, but them we turned and noticed and the lady then turned and pretend that she was taking a video of the fish. It was kind of funny but we didn’t think much of it. Then 10 minutes later we were further down the street when we turned and the lady was taking a video of us again! I’m not sure why she kept sneaking videos of us, its not like white people are a rarity in Hong Kong. It was certainly strange, but we just laughed it off and continued our tour. Firefighter on an ATV. Note the little fire extinguisher. Lets hope it wasn’t a big blaze! 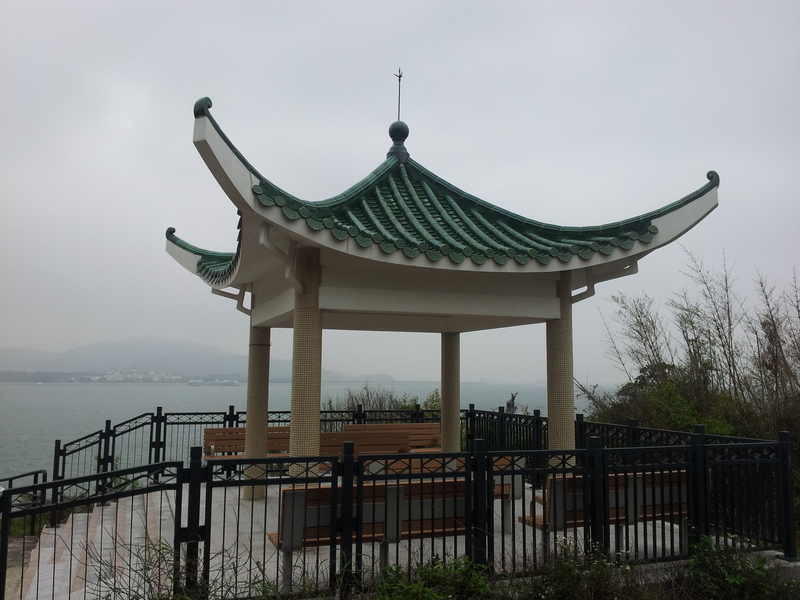 After Cheung Chau we hopped on the ferry to Central on Hong Kong Island and hung around the IFC mall for a bit before taking our ferry back home to Lantau Island. It was a great day of island hopping, 4 islands and 4 ferry rides.